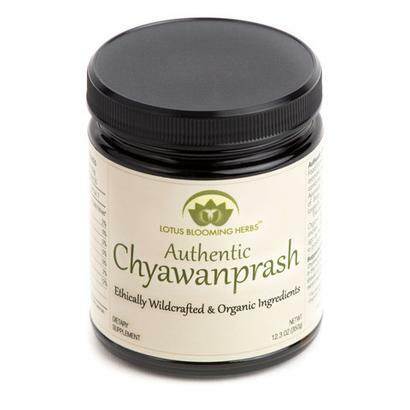 Authentic Chyawanprash™ is an ancient (at least 5000 years old) Vedic Functional Food Formula based on the principle of food as medicine and medicine as food. It contains a total of 35 ingredients including herbal botanicals, aromatic spices and linoleic rich fats, which are skillfully combined to produce a delicious "multi-herbal" jam. In Ayurveda, the traditional healing system of ancient India, Chyawanprash is known as a Rasayana(Systemic Revitalization of Body & Mind). It is recommended for daily use as a Super Nutritional Supplement for longevity, wellness and rejuvenation. Lotus Blooming Herbs™ has teamed up with the revered and accomplished Dr. Jayant Lokhande, MD (Botanical Drugs), MBA (Biotechnology), to produce a superior Chyawanprash that is prepared in an authentic and traditional manner yet formulated for modern people. We adhere to the ancient manufacturing techniques established 5000 years ago by the Rishi, Sage Chyawan. It takes a full 21-day cycle to produce one batch of our Authentic Chyawanprash. All ingredients are prepared and added at the precise time and according to the traditional methods to maximize potency, efficacy and authenticity. We don't cut any corners! The quality of our ingredients is exceptional. We use a combination of Ethically Wild Crafted, Certified Organic and Pesticide Free botanicals and dietary ingredients. Wherever possible we have sourced wild crafted ingredients, which are ethically harvested in their pristine and natural environment. We believe that wild crafted herbs retain a special essence that only Nature in all her wisdom can provide. Other ingredients are chosen from certified organic farmers who respect the environment and employ fair labor practices. Our Raw Honey is wild crafted from the jungle and never heated or cooked. Our Ghee is procured from happy, Indian, non-hybrid cows that are free to roam and eat green grass. Our Saffron is the highest grade available on earth and sourced from the beautiful mountain region of Kashmir. In accordance with the ancient recipe we use Jaggery (known as Gud in India), a highly nutritious and mineral rich sugarcane mash. We spare no expense to provide only the highest quality, effective and meticulously sourced ingredients. 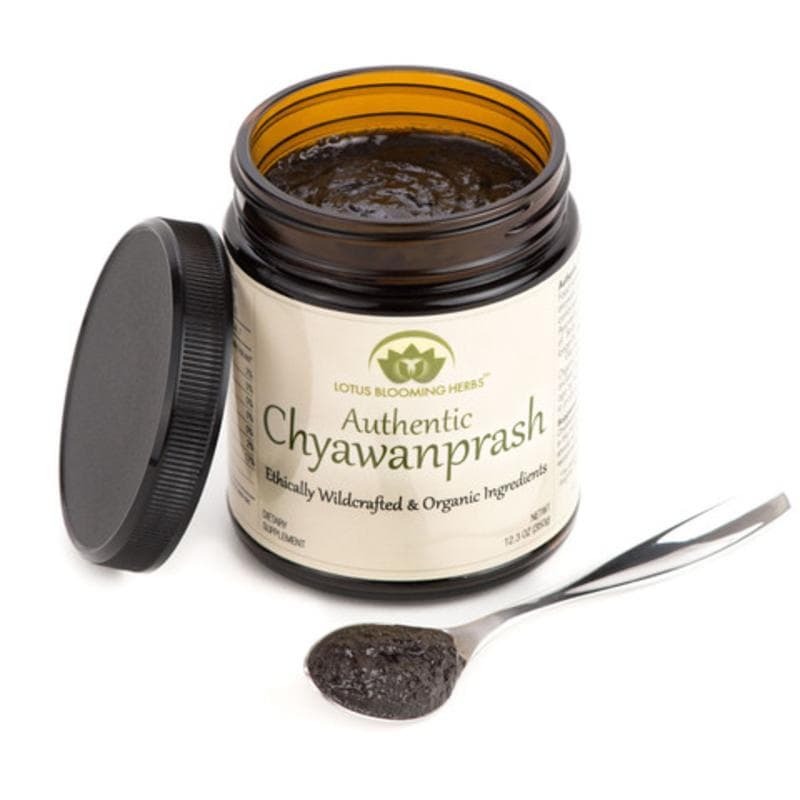 Our obsession with authenticity, tradition, science and quality combine to achieve the most potent and effective Chyawanprash available. A true Rasayana (rejuvenator of body and mind). A work of art passed down from the Ancients for the benefit of many. One taste and you will enjoy for yourself the dynamic power and delicious flavors of this super supplement of Ayurveda. Lotus Blooming Herbs™ invites you to experience the transformational health benefits of Authentic Chyawanprash! 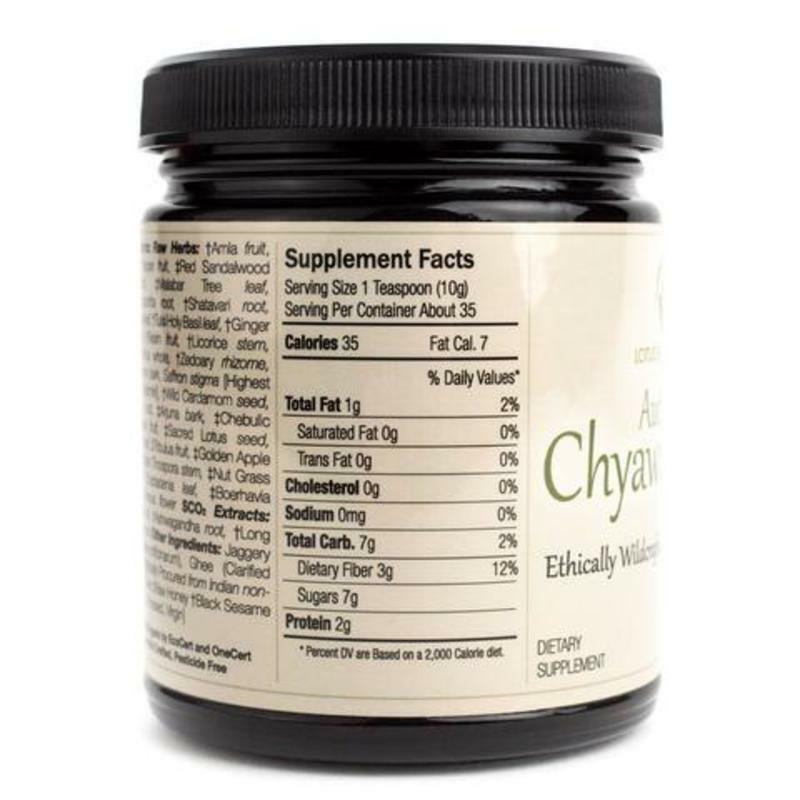 10 g (approximately 1 teaspoon) of Chyawanprash is typically consumed on an empty stomach early in the morning at the time of sunrise with hot, grass-fed cows milk and/or hot, grass-fed goats milk. Alternatively, individuals who are abstaining from milk may take Chyawanprash followed by a cup of hot water. 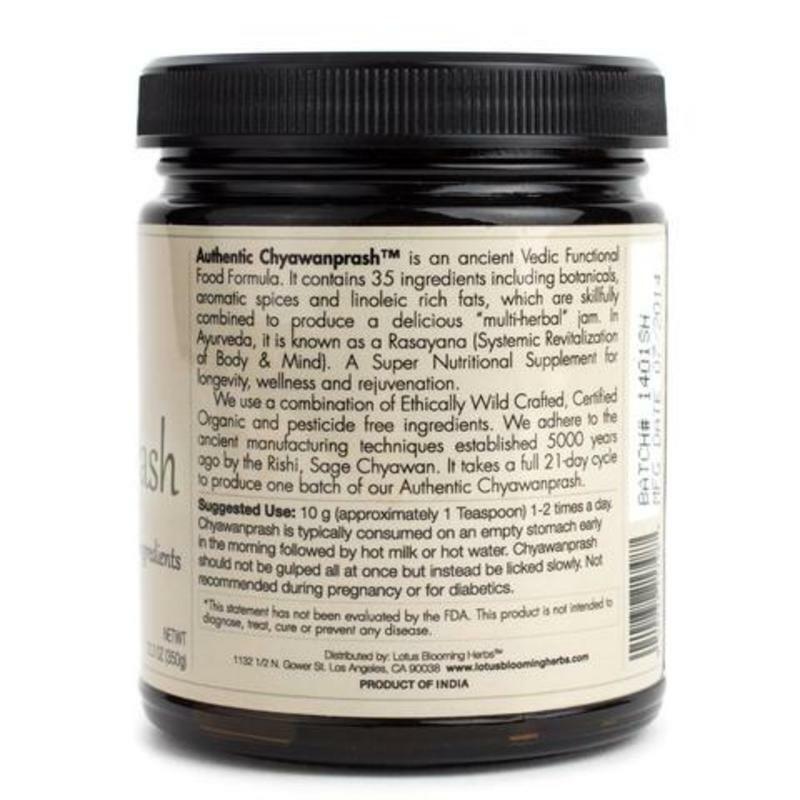 Chyawanprash should not be gulped all at once but instead be licked slowly.